As the only 5-star rated Chinese airline for seven continuous years by SKYTRAX, Hainan continues to scoop up prestigious awards and coveted titles year upon year. Hainan’s premium services cater to the needs of all their passengers. From luxurious VIP lounges to exclusive limousine transfers to/ from the airport, you can arrive in style, relaxed and refreshed. 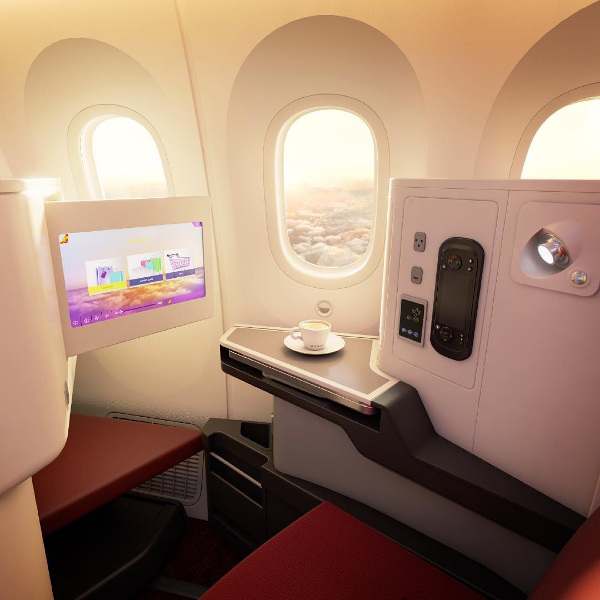 With a 300-strong fleet of aircraft less than five years old, Hainan’s Boeings, Airbuses and Dreamliners are fitted with the latest and best features in safety, comfort and entertainment. Founded in 1993, Hainan took to the skies with its first flight from Haikou to Beijing. 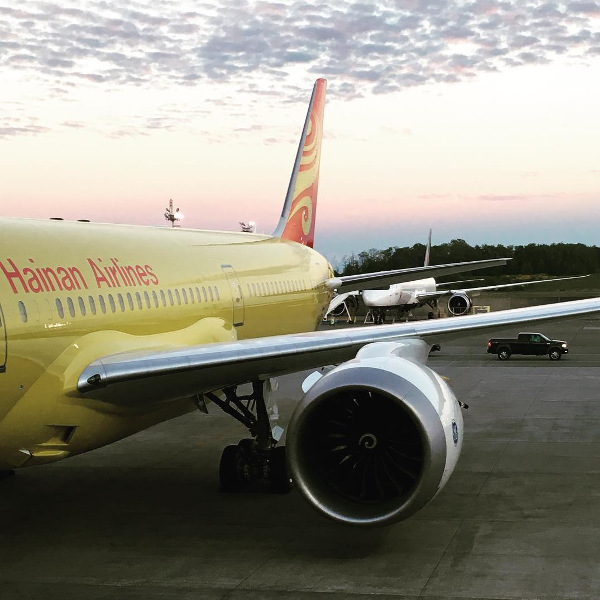 Twenty-five years later, with over six million hours of flying and numerous awards under its belt, Hainan Airlines is listed as one of the world’s top five safest airlines by JACDEC. With more than 300 aircraft in operation, this award-winning airline is renowned for its Business Class. Its main hub and focus cities feature Hainan Airlines airport lounges, catering to its VIP and Business Class passengers. With its impeccable safety record, this airline has been ranked in the top 10 of the JACDEC Global Safest Airlines no less than four times. With this peace of mind, you can easily connect to over 30 cities throughout Europe, Asia and North America. Book Hainan Airlines flights to Hong Kong, Beijing, Bangkok and other exciting places! Please consult Hainan Airlines’ checked baggage allowance policies, as these differ between routes and destinations. Economy Class passengers may have 1 piece of carry-on luggage weighing up to 5kg. Business Class passengers may have 2 pieces of carry-on luggage, each weighing up to 5kg. Economy Class passengers may carry 1 piece of luggage weighing up to 10kg. Business Class passengers may carry 2 pieces of luggage, each weighing up to 10kg. In addition to carry-on baggage, all passengers are allowed to bring 1 personal item on board. Airport check-in closes between 30 and 60 minutes before flight departure, depending on your destination. Self-service check-in kiosks are available at Beijing International, Haikou Meilan International, Taiyuan Wusu International and Urumqi Diwopu International airports. This feature is available up to 40 minutes before flight departure. Hainan’s online check-in is available 24 hours before flight departure. Their online check-in platform is available on their website. 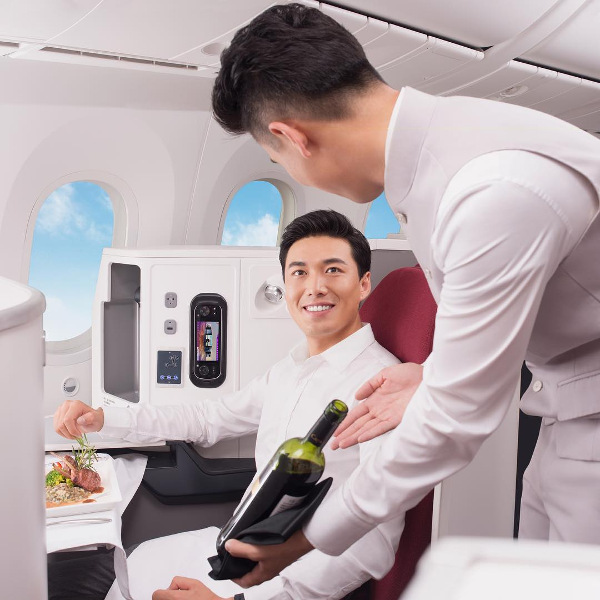 All cabin classes have access to Hainan’s onboard entertainment system, featuring new and popular films, TV shows, music, interactive games and reading material.